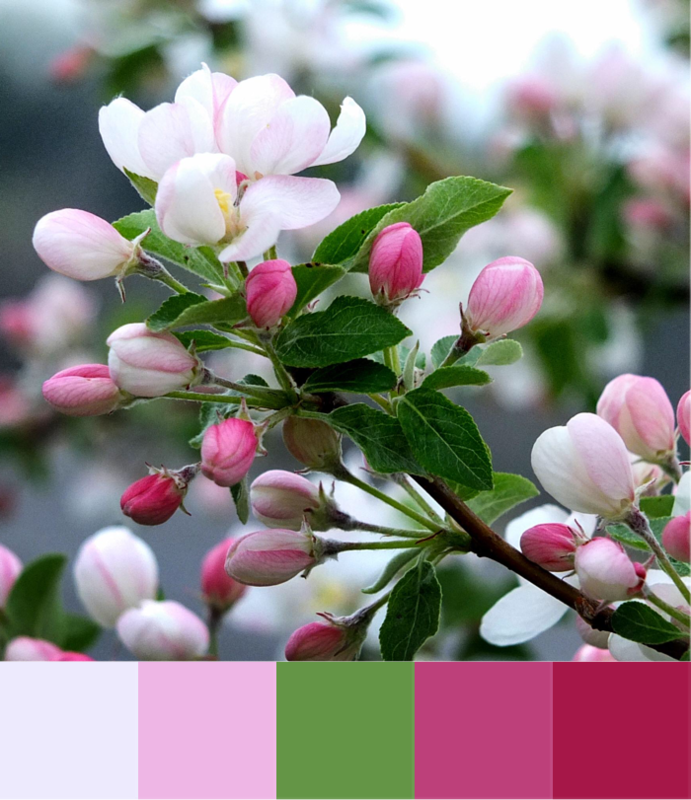 It’s Spring time in Australia and I couldn’t resist making a colour palette inspired by Apple Blossoms. I think I might tint these colours before I use them in a layered bead necklace. What project would you use these colours for? I love finding ideas in other craft materials. 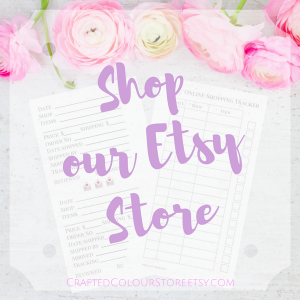 Finding inspiration for knitting or crochet in handmade lampwork beads or scrapbooking paper or, as in this case, these yarn colours in beading or papercraft. 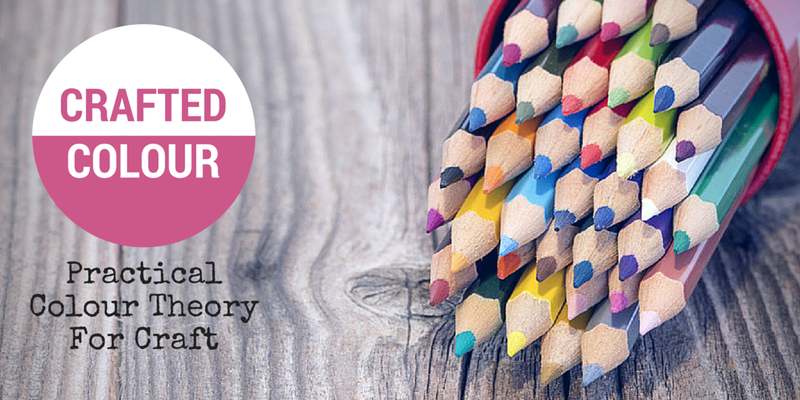 Some of the colour combinations used by designers Laura Ashley, Cath Kidson or Orla Kiely can inspire colour palettes in other crafts.Have you ever been inspired by colours found in other craft materials to create something totally unrelated? 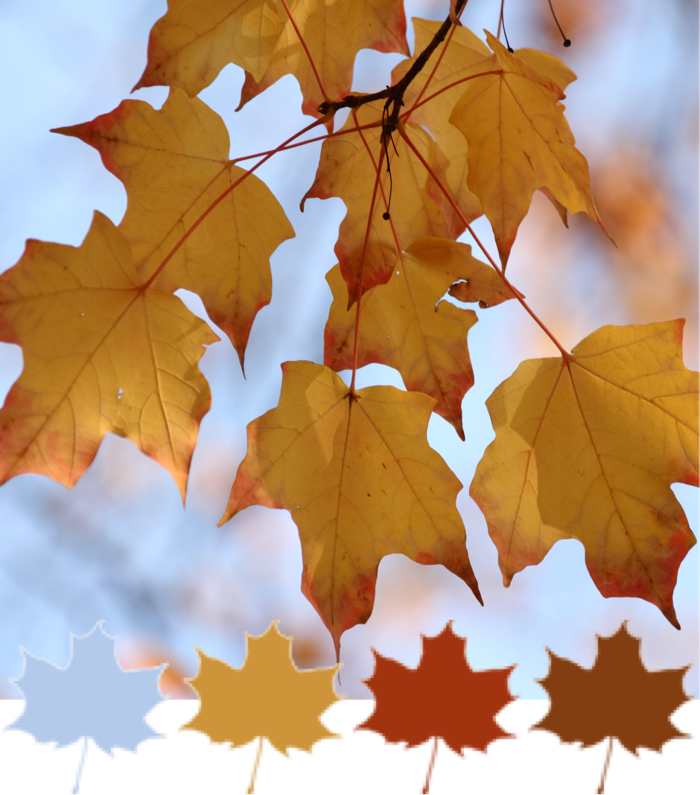 Here’s another seasonal colour palette for my friends and readers in the Northern Hemisphere. I decided to use another custom shape in my colour palette, there are so many to choose from! 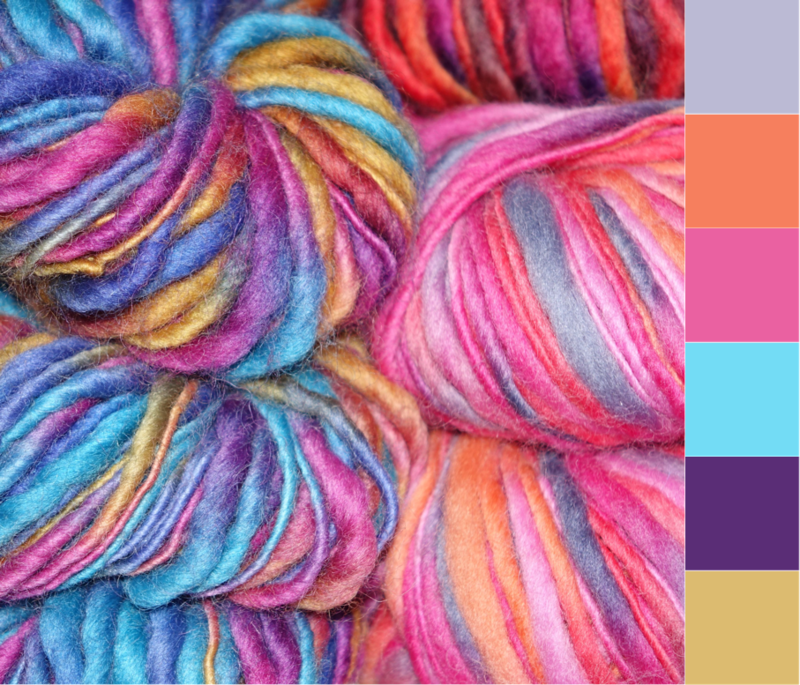 I’d love to see this palette in a seasonal scrapbook page or in a knitted scarf. What would you make with this one? Sometimes when you make a colour palette it seems fine at the time but when you come back to it later you realise something is not right. 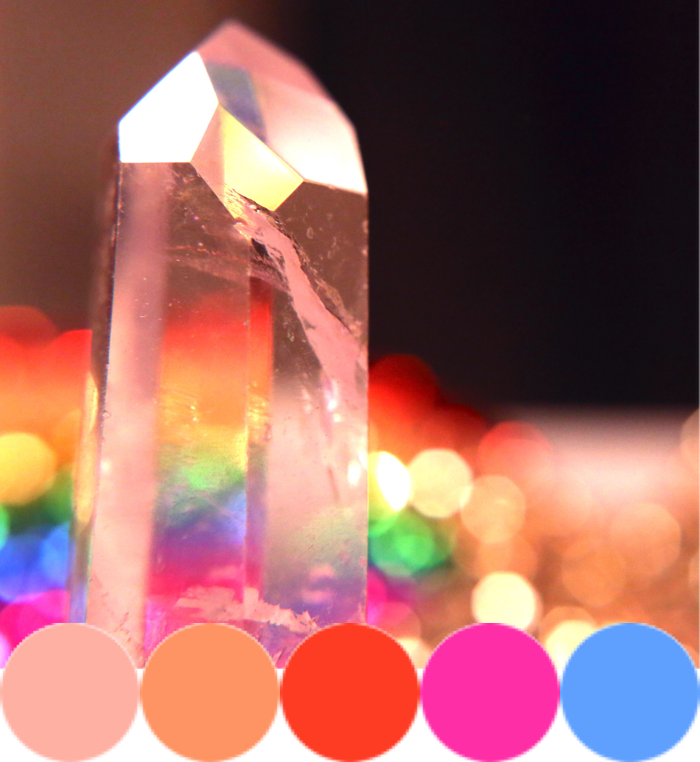 Just like the Crystal Colour Palette below, I know the colours are reasonably accurate and all are found in the picture, but I’m just not happy with it. I decided to tweak the palette to make it more interesting and usable, unfortunately it won’t be accurate to the photo anymore. 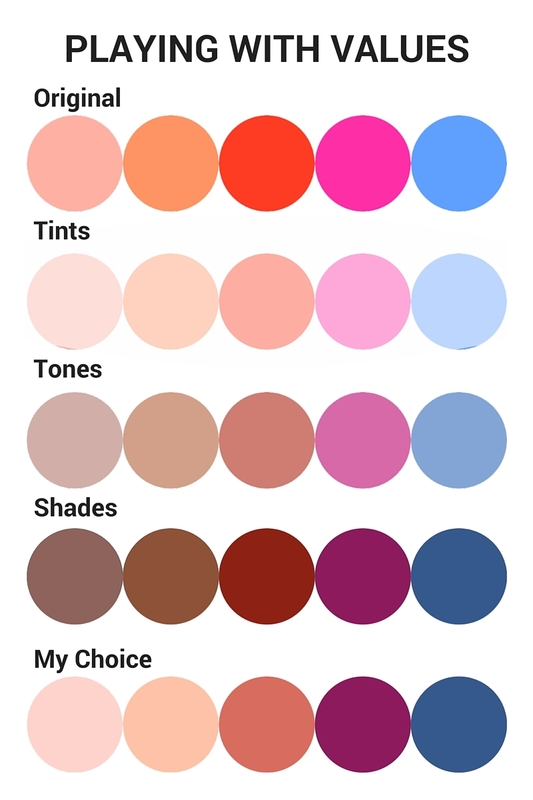 The Palette Picker app allows you to import the photo with the palette attached or just the palette separately. I saved the palette by itself and had a play with Colour Values. Below you’ll find the results. I think I’d be more than happy to use any of the alternatives (especially the Tones!) but I decided to go with a mix of all three mostly because I’m rather in love with the pink in the Shade row. 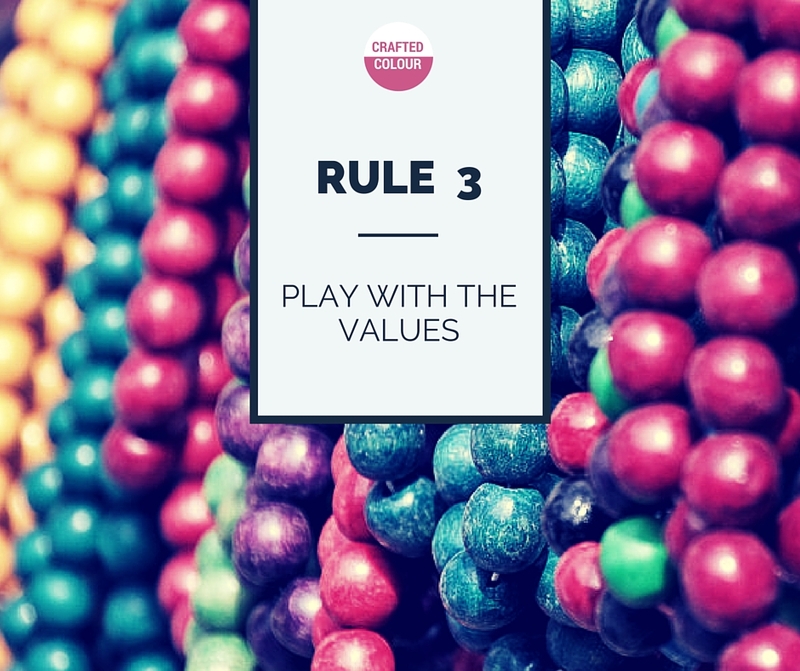 So, here’s you third Crafted Colour Rule – Play with the Values, especially if you’re not happy with your initial selections. It’s that time of year again. I’ve started seeing pumpkins all over Pinterest and Halloween is just around the corner. In Australia we don’t celebrate Halloween like other countries, and pumpkins are still 6 months away from harvest. We also don’t cook with them as much as others do. I’ve never tasted Pumpkin Pie or seen pumpkin spice before. This palette is for our Northern Hemisphere readers, full of rich citrus, pumpkin and spices. 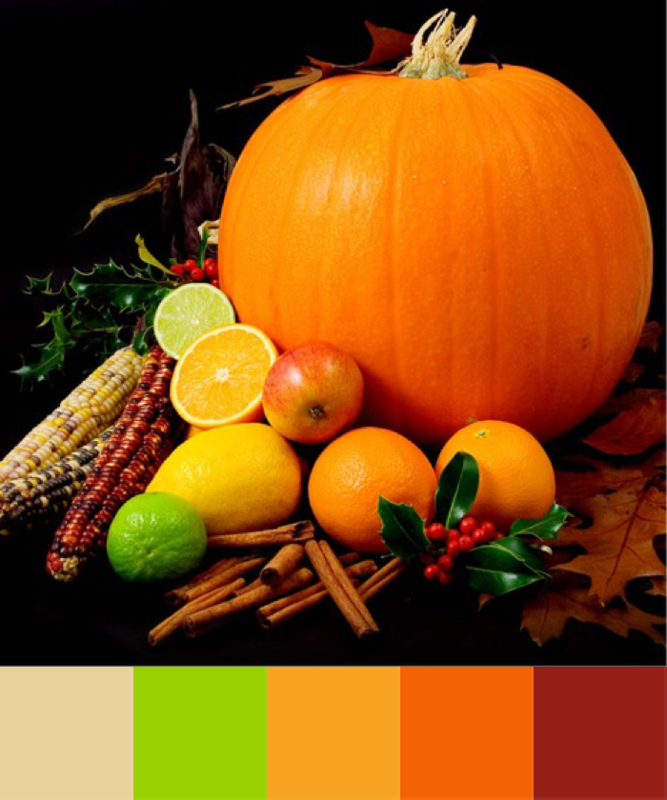 Perhaps this palette will inspire a little seasonal decorating.